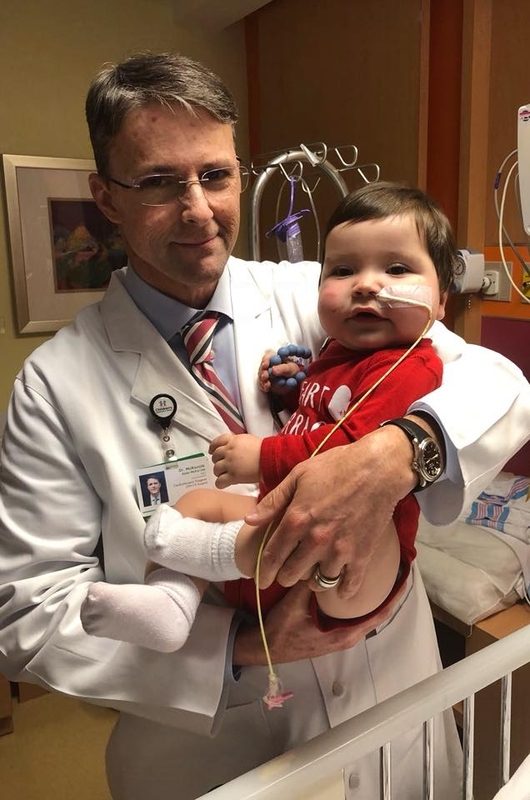 When icy roads prevented Children's Healthcare of Atlanta's Chief of Cardiothoracic Surgery, Dr. McKenzie, from driving to work Wednesday, he found a way to be there for his patients anyway. Remember, Atlanta rarely gets ice and snow. Beckwith’s son, Madden, has congenital heart disease and Dr. McKenzie performed open heart surgery on him in December. Beckwith said she met the doctor at 28 weeks and something about him made her choose him as their physician. “Something about his presence made us trust him with our son’s life,” Beckwith said. Beckwith posted a photo of Madden and Dr. McKenzie after hearing about his journey to work. “When everyone else is calling out, he walked to work. It spoke volumes about his character,” Beckwith added. Children’s Hospital of Atlanta posted the photo on their Facebook along with the story. They wrote, "Thank you to the men and women who made it possible to continue with surgeries, procedures and exams as winter weather swirled outside this week,” Thousands have already shared the heartwarming post on Facebook, with hundreds more praising the doctor for his devotion. Thank you, Dr. McKenzie, for reminding us what dedication, especially to those smallest among us, looks like. Jeffrey J. Roth, M.D., F.A.C.S. KGW8 News Atlanta: Dedicated doctor walks through snow, ice to make sure his littlest patients get their treatment. Inside Edition: Doctor Walks a Mile in the Snow to Get to His Patients at Atlanta Children's Hospital.